My expectations were not very high. 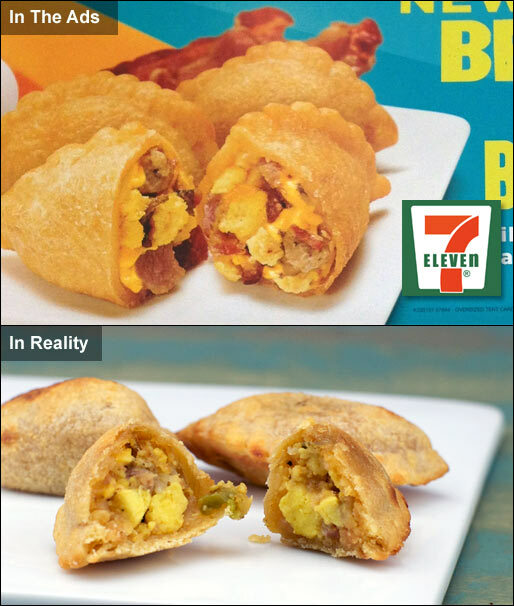 Breakfast from 7-Eleven isn't a gourmet experience. If this product looked like it did on the in-store ads and tasted vaguely like breakfast, I'd probably give it fairly high marks. 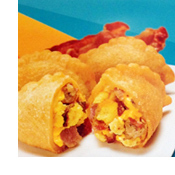 Good news: 7-Eleven's Breakfast Empanada Bites sport flavors that will remind you of breakfast. The sausage is spicy. It would be fair to call these "Spicy Breakfast Empanada Bites." Bits of egg are noticeable to the taste buds, as is a minimal amount of cheese. It was a sensory challenge to taste the bacon they contain, but if you concentrate enough you can taste it. I got absolutely no flavor from the ham they promote. Bad News: For the best eating experience, close your eyes and avoid looking at what you're biting on. You won't see the delightful interplay between egg, bacon sausage and cheese that you see in the ads. The inside of these Empanada Bites is a mishmash of mush with occasional tiny blocks of yellow egg. What ever happened to truth in advertising? The thing that surprised me most about this product is that it doesn't have potato. You swear you taste it. I had to look at the advertising again to verify it's not there. Apparently, when you glob together ham and eggs you can achieve the texture and taste of mashed potatoes. The potato sensation is so strong that these bites truly reminded me of India's famous potato-filled samosas. In the end, this product was exactly what I was expecting. It's breakfast from 7-Eleven. I hope they keep experimenting with breakfast offerings. 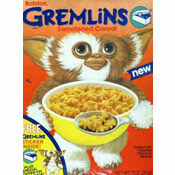 I can't wait to surprise us all by saying one the greatest breakfast products around is from a convenience store. That day is not today. What do you think of Breakfast Empanada Bites?